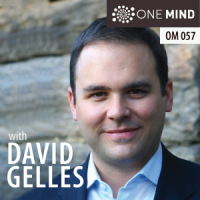 This week we chat with New York Times reporter and author David Gelles. The paperback version of his excellent book, Mindful Work was just released. 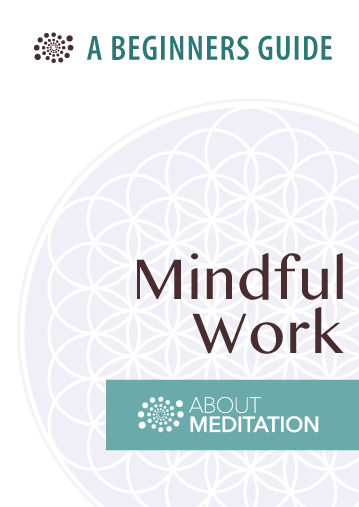 We had a chance to catch up David and discuss some of the themes in Mindful Work. 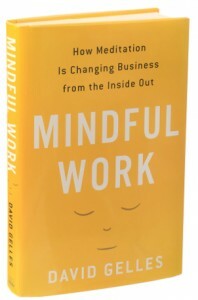 For anyone interested in the intersection of mindfulness and the workplace, this is a must read. How is meditation changing the world of business? This is the central question that drives David Gelles’ Mindful Work. In the West, meditation has evolved from an esoteric contemplative art—practiced by a few to attain an elusive spiritual jewel called enlightenment—into a form of pragmatic training for spiritual, mental, emotional, and physical wellbeing. As part of the most recent iteration of that development, much of the business world has started to embrace mindfulness. These days, it’s not unusual to find meditation rooms in fortune 100 companies. A decade ago that would have seemed outrageous. In our post modern climate, it’s generally recognized that you need to treat employees like real human beings who have human needs. As a result, meditation, exercise, education, and yoga are routine in the work place, yielding better work and a better life. And in the UK, companies are even more bullish on meditation largely because spiraling health care costs driven by chronic stress are a huge expense. Studies show that meditation and mindfulness training can help. 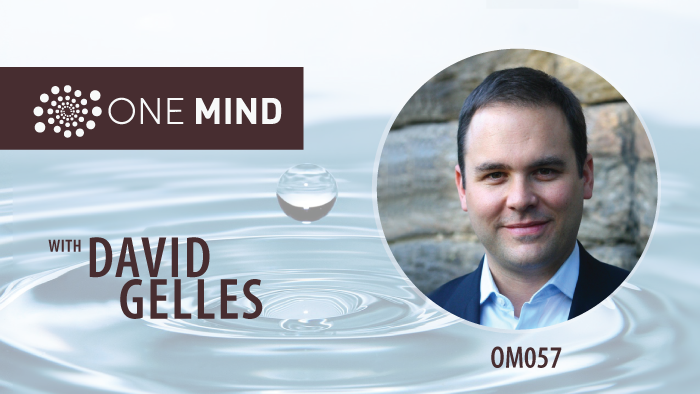 In Mindful Work, David Gelles takes us on a tour. In fact, he take us on several tours through multiple stories. First, we learn about David’s own multi-decade journey with meditation. It started with a single book on Buddhism that ultimately led him to India to study with the same meditation master who taught one of the first American vipassana teachers, Joseph Goldstein. Eventually he took up journalism and became a business report for the Financial Times and then The New York Times before his interests in meditation and business converged and culminated in Mindful Work. Then the book traverses the fascinating and at times surprising history of meditation in the West. David then helps us understand the factors and forces that have contributed to the recent explosion of meditation into mainstream. That includes an in-depth look at how meditation and mindfulness have become a popular focus of scientific study and research. All of that is fascinating indeed, but it’s just context for the main event. Set against this rich backdrop, Mindful Work chronicles the individuals and organizations who are ushering mindfulness into the world of business. The three main reasons why meditation has really exploded into the mainstream. Read David’s most recent NYT article on mindfulness: The Hidden Price of Mindfulness, Inc.